Growing up in the Olympic Village of Lake Placid NY, Karen has been around competitive sports her whole life. Her need for speed began when she was young, wether riding horses or riding down the steep alpine slopes, she was always competitive. After graduating from high school Karen moved to NYC to start a modeling career and began work at Belmont Racetrack in Long Island New York, exercising some of the top racehorses in the world. Her traveling with the racehorses brought her to south Florida in the winters to train. This is when her love for powerboats began. Living so close to “Thunder Alley” where the birth of high powered boats began with Don Aronow, was also a contributing factor. This was home to Apache, Magnum, Cigarette, and Donzi Powerboats. In 2000 she was brought to her first offshore powerboat race, the Sarasota Offshore Grand Prix. She noticed that there were only a few women racing. With this and all the excitement of racing she knew she wanted to get involved and had heard of the Reindl One Design leasing program. Early into the 2001 season she contacted them to ask if she could race if she had found sponsors to cover the lease price. After securing an almost full season lease through her sponsors, she burst onto the scene, winning her first race in Sarasota, FL, where she was a spectator just one year earlier. She would continue on, finishing second in the National Championship Race. In the years following Karen has teamed up with several racers, including an all-girl team with Sarah Donohue from the UK They would come back and win the One Design Race in Sarasota, where to this day she is undefeated. She also raced for the Aqua Toy Store and won the Miami Offshore Grand Prix racing a Donzi. 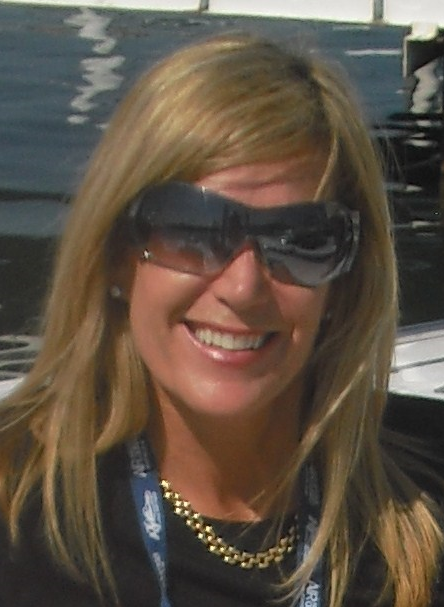 She then took a job working on the Poker Run Circuit for the Florida Powerboat Club. Today Karen resides between NC and Wellington FL, splitting time between her two loves – Horses and Offshore Powerboats. She just recently raced in the Detroit Gold Cup for the new Powerboat P1 Superstock Championships with Tyler Crocket of Crocket Racing Engines. Karen is looking to team up for a new season of Racing and Poker Runs with an all-female team, “Girlz Play 2”, with Norwegian Champion Mirell Victoria.